Our First Friday opening reception for the Jewelry Show was held on November 4. The reception included a live demonstration by metalsmith jeweler, Jasmine Lee and a brief gallery talk by PONSHOP owner Scarlett Pons. Featured jewelry artists include: Leslie Brier, Terresa Buelow, Zakk Davis, Lisa Latendress, Jasmine Lee and Sylvia White. Below are more pics from the evening. Thank You to all the fans and enthusiasts that came out for the opening! The Jewelry Show runs through November 27. PONSHOP Studio and Gallery are pleased to announce that they will be showcasing six local jewelry artists for the month of November. Please join us on Friday, November 4 from 6-10pm for the opening reception with the artists. The jewelry show highlights the collections of jewelry artists who conceptualize and create their own unique work. 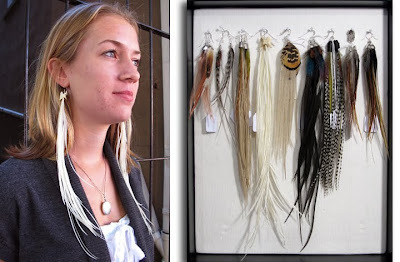 Often described as wearable art, artisan made jewelry carries an intimate connection between the wearer and artist where the wearer becomes a moving canvas for the piece. Each artist is aware of this relationship, and they strive to create innovative designs to fashionably adorn the body. In keeping with the gallery format, each piece is handmade, forming an elegant and tangible work of art. These tiny works are formed using a unique pallet of materials from upcycled items, beads, leather, sterling silver, or precious metal clay. The individual artist is able to achieve their own artistic vision through their medium of choice. The jewelry exhibit features the works of Leslie Brier, Terresa Buelow, Zakk Davis, Lisa Latendress, Jasmine Lee, and Sylvia White. The exhibit features a wide price range of jewelry starting at twenty dollars. The opening reception will include a brief gallery talk by owner Scarlett Pons where she will introduce the artists. The gallery will be giving away door prizes and gifts to guests throughout the evening courtesy of the participating artists. 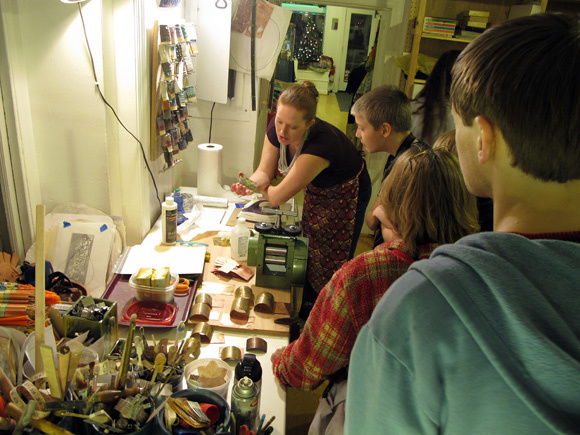 In addition, Metalsmith jeweler, Jasmine Lee, will be demonstrating her technique throughout the evening. The gallery walls will include a group exhibition of featured PONSHOP artists including Joshua Barber, Nicholas Candela, Adam Desio, Jeremy Gann, Bill Harris, Ginger Huebner, Rob Landeck, Nathan Webster, Scarlett and Gabriel Pons.